Condition:In very fine condition, the paper toned slightly. 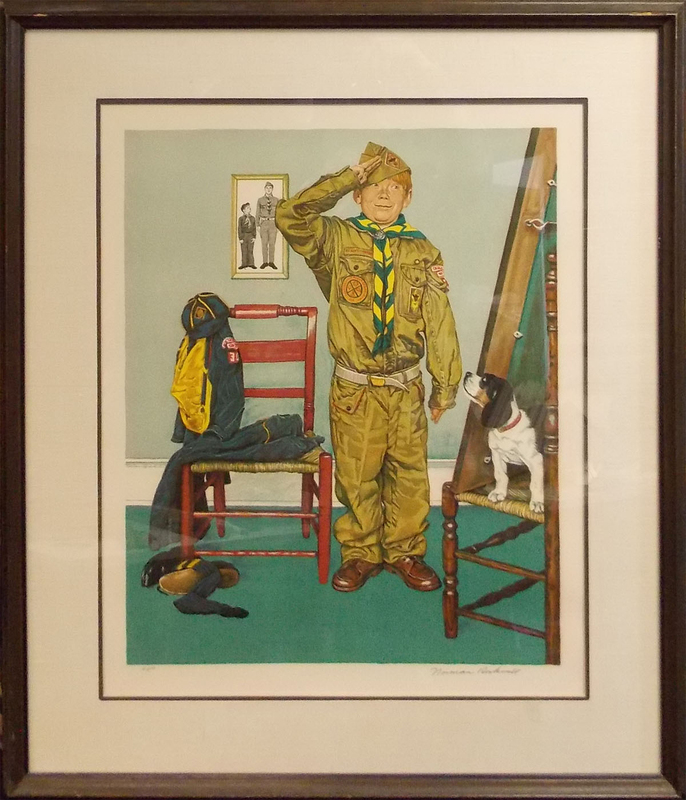 Note: Boy Scouts were a popular theme for Rockwell and this image depicts a cub scout getting ready to become a boy scout by trying on the still too-big boy scout uniform. Based on a1972 Calendar Illustration for the Boy Scouts of America for Brown & Bigelow Co.